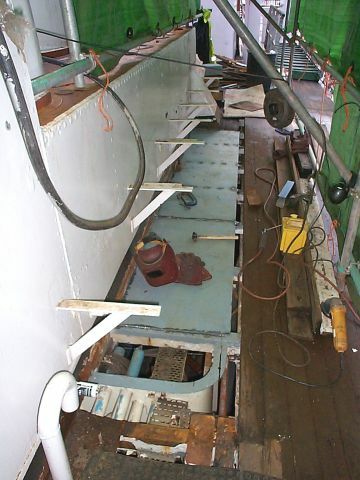 Work has begun on the replacement of the stringer plates either side of the upper engine room casing. 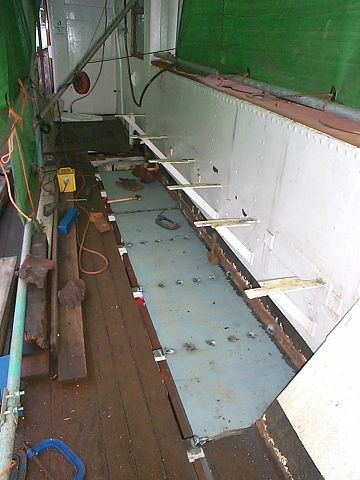 An area of deck planking has been removed from both sides, and on the Port side part of the new plate has already been fitted. 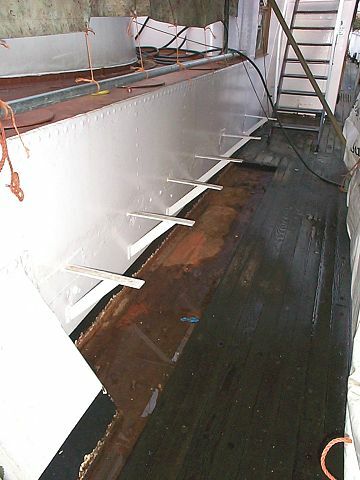 Since these pictures were taken the new stringer has been extended to the back of the shop, and a section of plating has been removed from the bottom of the shop superstructure as this was also found to be in poor condition.